Start the Year of the Pig by doing something good for the environment! After typhoon Mangkhut devastated large areas of Hong Kong last year, the city is still recovering in its wake, especially secluded coastal areas. You will be leaving Mui Wo ferry pier at 9 am to take the bus to Shui Hau beach. The cleanup will start there at 10 am continuing till around 1 pm. 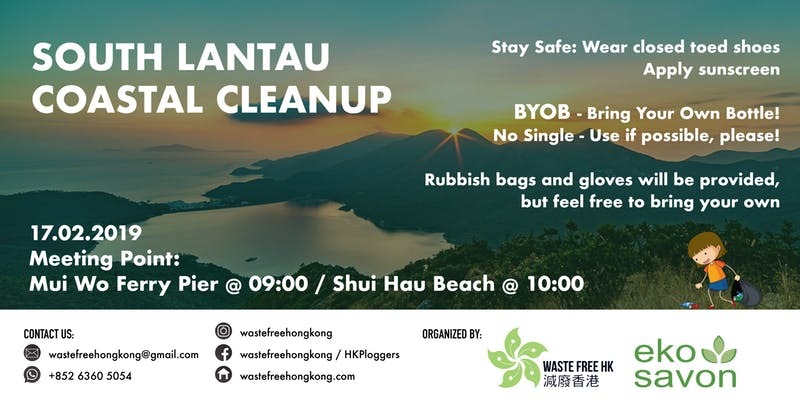 After that you are welcome to join Waste Free HK for a light hike across Lantau to enjoy some of the sights the beautiful island has to offer. There will be fun and games during the cleanup, with prizes for the best and most interesting objects found! There will be music and people are welcome to bring their own drinks and snacks. Please try to either bring reusable packaging or things that can be easily recycled (glass and metal). Come along, have a great time, all while doing something good for Hong Kong! Registration: To register for this cleanup, please follow this link. 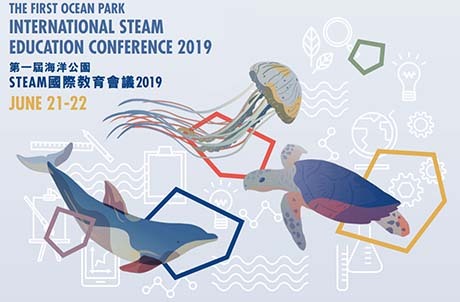 As part of the First Ocean Park International STEAM Education Conference 2019, Ocean Park Hong Kong has organised the first Ocean Park International Conservation STEAM Competition. Ocean Park Hong Kong would like to invite you and your students to get inspired by taking part in their International STEAM Competition. The competition aims to encourage students to apply their knowledge and skills in STEAM-related disciplines to solve real-life problems, especially using their creativity to propose innovative solutions for global environmental issues. STEAM action – Propose technology solutions to clean marine debris and conserve marine biodiversity. STEAM promotion – Create art products to promote the reduction of marine debris or the conservation of biodiversity. STEAM public awareness – Use technology (e.g. virtual reality) to raise the awareness of the general public to reduce marine debris and conserve biodiversity. About Ocean Park Conservation Foundation Hong Kong: Ocean Park Conservation Foundation Hong Kong is committed to advocating, facilitating and participating in effective conservation of Asian wildlife, with an emphasis on Chinese white dolphins and giant pandas as well as their habitats through partnerships, fundraising, research and education. It envisions a world where Asian wildlife remains biologically diverse under the stewardship of humans, corporations and governments. Holiday Plog / Coastal Trail Polystyrene Cleanup! Work off the holiday feast! Close out 2018 by giving back to nature! Join Eco Marine ‘plogging‘ (a combination of jogging/walking and picking up litter) on 29 Dec 2018! 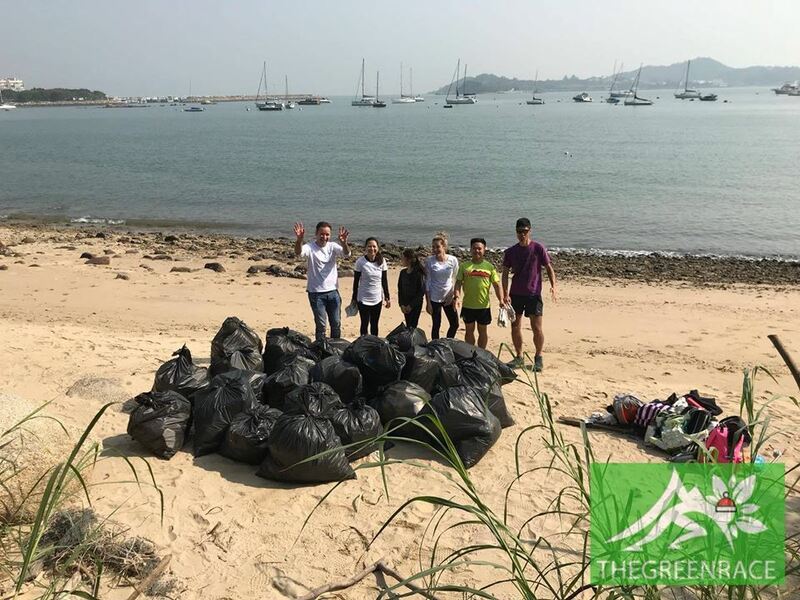 Eco Marine Adventure Cleanup’s Keilem and Kimmie are hosting a coastal trail cleanup from Mui Wo ferry pier in South Lantau from 9:45am to around 12:45 noon. 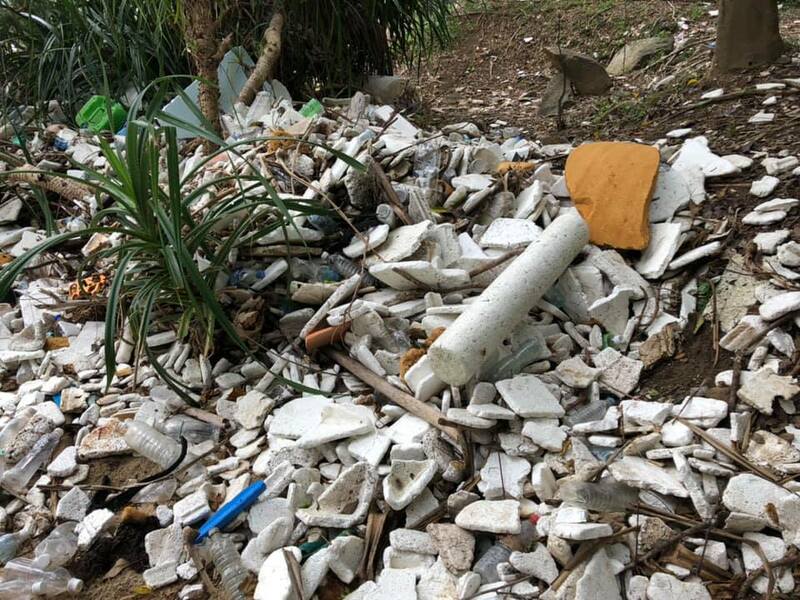 The route passes along many small beaches and areas clogged with polystyrene from the great typhoons of 2017 and 2018 which cause a threat to coastal wildlife as well as the beloved local buffalo and cow herds. Ploggers will jog/hike as a group or in a few groups for around 3.5km on fairly flat trail of easy to intermediate difficulty terrain with around 100m elevation gain whilst checking out the beautiful scenery and rubbish black spots. The group will then turn around and cleanup some of these rubbish black spots. The total distance of the plog will be around 7km with around 200m elevation gain. However, don’t worry – we welcome all skill levels of hikers into the team – the more, the merrier! What to Wear: Hiking/Sports clothes and shoes. Long sleeves and long tights/trousers since you may be in plant undergrowth. Closed toed shoes only. Sun hat and other sun protection like umbrella and sunscreen. What to Bring: A reusable container with at least 1l of water and some snacks if you are the hungry type. Single use plastic water and drink bottles like Bonaqua, Coke etc are prohibited. Try to minimize other single use food wrapping/packaging as well. Also bring sunscreen, mosquito spray and possibly a change of clothes. Eco Marine will provide gloves and rubbish bags. Feel free to bring your own gloves and tongs. About Eco Marine: Eco Marine envisions a society where nature and modern urban life thrive. Their mission is to inspire greater appreciation and guardianship of nature and as a catalyst for action for integrating this mindset into all aspects of contemporary urban life. Lend your support for WWF-Hong Kong by signing up to be their Flag Day volunteer. To sign up, please follow this link and scroll down to the four different registration forms. About WWF-Hong Kong: WWF-Hong Kong was founded in 1981 and is an integral part of WWF’s global network. Their work began with managing Mai Po Nature Reserve and conserving iconic species. 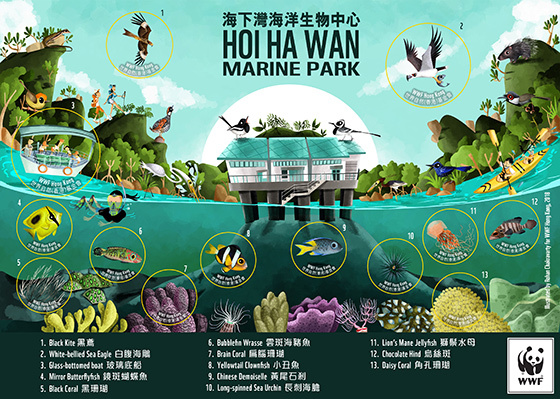 Over the years, WWF-Hong Kong has expanded and adjusted their mission to better serve Hong Kong’s conservation and education needs and align themselves with WWF’s global strategy. GreenRace DB Festive Beach Clean 2018! Note: GreenRace may clean farther down the coastline, if you’re late, please call or whatsapp! 91335415. 12:00pm – Reservations at Zaks for festive GreenRace lunch (https://goo.gl/maps/CkwGVkeMMks). About The GreenRace HK! : The GreenRace HK! is an enviro mix of road & trail running events. They organise personalised running plans and training, fun runs, retreats, trail races & trail cleans in Asia and North America. The GreenRace HK! events aim to contribute to local community and environment by enjoying the outdoors sustainably with each of us doing our part. The GreenRace HK! see the GreenRace as an opportunity to reset ourselves in everyday life and habit. Eco Marine has received many requests from individuals that are not part of a diving group and smaller dive groups thats are too small to form a 10 person team to join their adventure cleanup dive program. That’s why Eco Marine has put together the Eco Marine Team Diving Day and are now inviting you to join their dive on 1 September! Eco Marine recommends this for individuals with minimum PADI AOW or equivalent dive qualification and with previous dive experience in Hong Kong waters. To register, please sign up on the google form link below. * Dominant substrates – sand, coral, seagrass, rock, etc. Participants will use their skills and creativity to complete the above. The end product can be scientific, accurate, exaggerated, to scale, not to scale, artistic, creative, or some or all of the above. The objective is not to make a scientifically accurate map but for participants to notice and appreciate the ecological diversity and value of the dive site and to create something that is informative, fun, creative and unique to share with others. 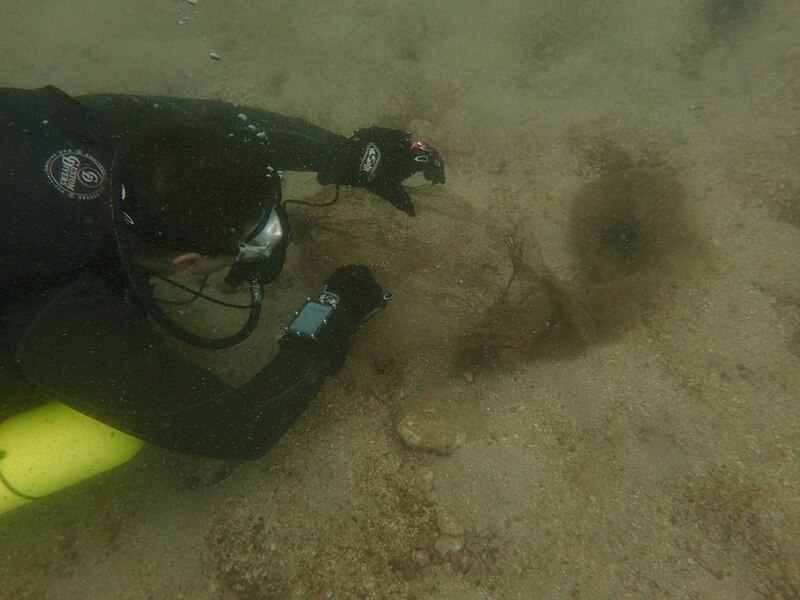 What can the dive club do to tackle the marine waste and pollution at source? Agree with the team on what this is and incorporate into your dive team protocol/routine. Payment Method: Pay via bank transfer or EPS to Eco Marine: Hang Seng Bank 390-435030-883. Please upload payment slip in google form. Eco Marine will send you a confirmation email once your place is confirmed. *Lunch is not provided. Participants are expected to bring their own lunch and eco-friendly utensils. No single use plastics. About Eco Marine Adventure Cleanup : The Eco Marine Adventure Cleanup event series engages with different sports communities to tackle marine pollution. Each adventure cleanup event combines a healthy and fun sports adventure, an ecological activity or challenge, and a coastline or in water cleanup. Eco Marine aim is to engage sports communities in the conversation to tackle waste and challenge them to identify any opportunities in their sport to tackle the waste problem at source.